GOA, India - Representatives from Patrol squadron (VP) 16 met with counterparts from Indian Naval Air Squadron (INAS) 312 for a subject matter expert exchange (SMEE) in Goa, Oct. 22-24. 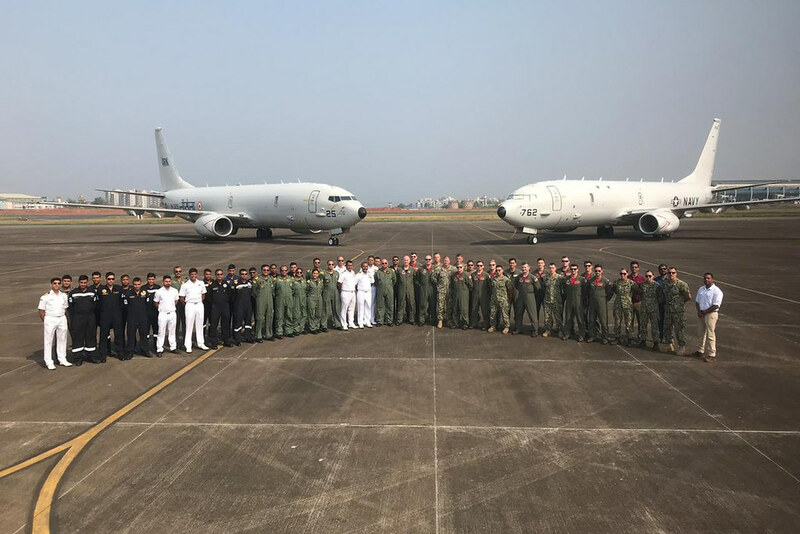 Members of VP-16’s combat aircrew conducted training and shared their technical knowledge with the Indian Navy P-8I squadron. Purchased from the United States, the Indian Navy P-8I maritime patrol aircraft has been in service since 2013 and shares many similarities with the United States P-8A. As the first U.S. Navy maritime patrol squadron to transition the P-8A, VP-16 has substantial experience with, and knowledge about the platform, to share with their Indian counterparts. The exchange included a SMEE flight where aircraft from both navies practiced operating in the same location, simultaneously tracking an Indian Navy submarine. Additionally, the two squadrons came together during multiple briefings to discuss coordination between the P-8s when operating together, to include standardizing altitude deconfliction, aircraft safety, tactical communication, and tactical employment of the P-8I and P-8A aircraft. The United States and Indian SMEE played a vital role in furthering interoperability between the two nations, fostering diplomatic relationships, and improving maritime operational capabilities. Patrol Squadron 16 is currently deployed to 4th and 7th Fleet areas of responsibility, conducting theater and national level tasking in support of U.S. Southern Command and U.S. Indo-Pacific Command.